Business Halacha that relates to you. 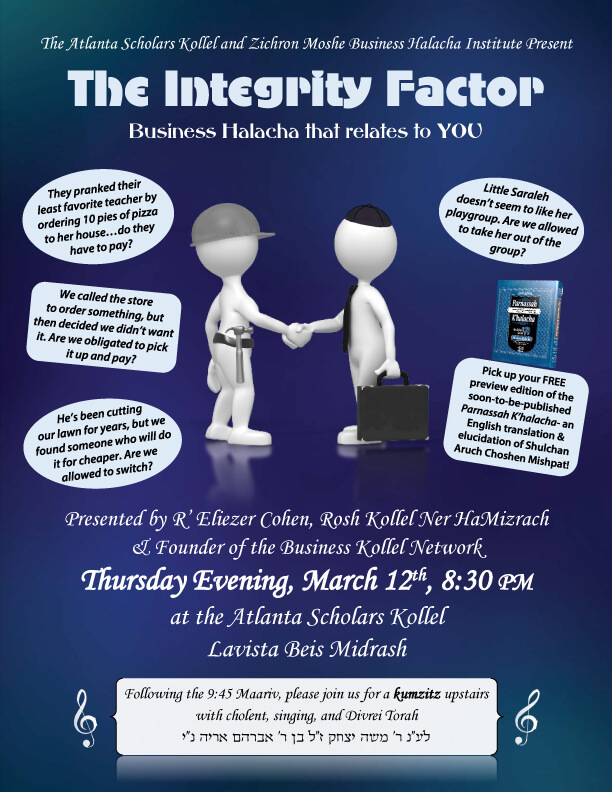 Presented by R’ Eliezer Cohen, Rosh Kollel Ner HaMizrach and Founder of the Business Kollel Network – Thursday, March 12th, 8:00 pm – at the Atlanta Scholars Kollel, Lavista Beis Medrash. Following the 9:45 Maariv, please join us for a kumsitz.